Is it time for a more economical car? Perhaps you are searching for a new Hybrid. If so we invite you to come see the new Toyota Prius near Laconia, NH. This affordable hybrid car has rapidly become one of the most popular on the market and is available as the standard Prius, Prius c, Prius v and Prius Prime models. We have a selection of new Prius models to choose from and usually have a nice selection of used Prius models in stock as well. Toyota financing is available in our auto finance center. Our Toyota finance experts can help you take advantage of special offers and factory incentives so you are sure to get our very best price. 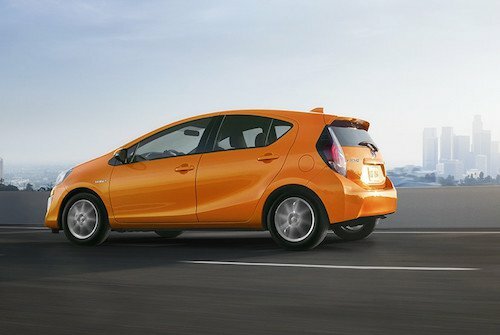 We will also explain available options for buying or leasing a Toyota Prius and will arrange affordable monthly payments. Our Toyota dealership is a one stop shop for new Toyota sales, leasing, used car financing, auto service and repair. Why not stop by, see our showroom and test drive a new or used Toyota Prius near Laconia, NH?